Today’s Cute Outfit Ideas of the Week is about bright, bold colored jewelry. Yesterday I featured an outfit with very bright accessories and as I said, it’s now one of my favorite outfits. I’m wearing another outfit today with bright jewelry. The necklace and earring set are from Cents of Style. I paired the set with a maxi dress from Wet Seal, and a cardigan from Kohl’s. 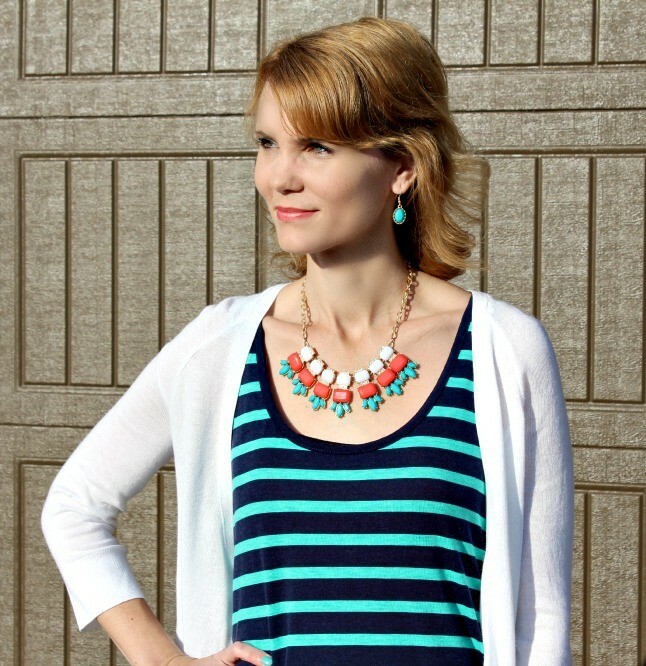 I love the coral, blue and white in the necklace. It’s absolutely gorgeous! I’m sorry to say the necklace is no longer available, but they have so many other beautiful items for you to take a look at. Here’s the look recreated with some similar pieces, but a different color combination. 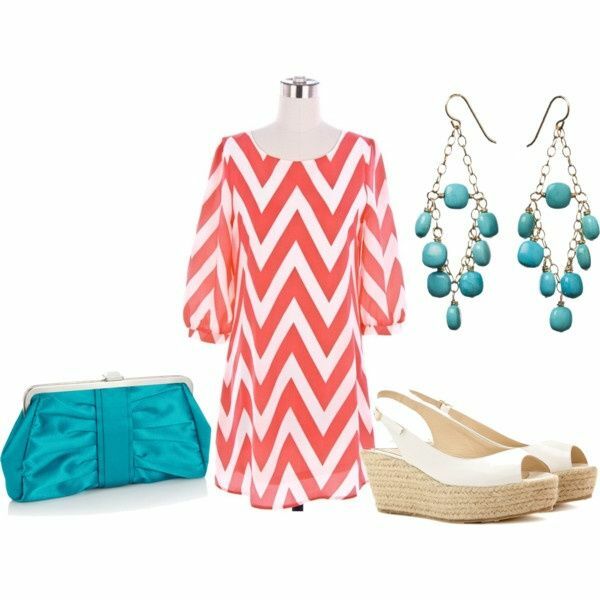 Here are a few other cute outfit ideas featuring bright jewelry that are going to be perfect for these spring and summer months. Which Cute Outfit Idea from today is your favorite? Do you like to wear bold jewelry or go more understated? I can’t wait to share more gorgeous jewelry, spring outfit ideas and fashion finds with you! Let me know what you would like to see.